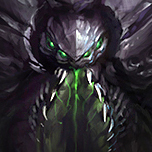 Forums General Discussion So when are they gonna announce the new Warcraft hero? 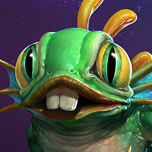 So when are they gonna announce the new Warcraft hero? 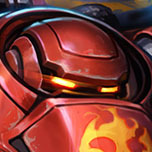 We just had Mephisto and it'll be too good to be true to have the next hero not to be two Warcraft heroes in a row, I wonder who they might be that is not Deathwing or any Diablo,Overwatch or Starcraft hero? 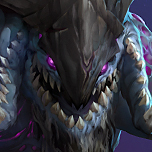 Hopefully we don't get a new Warcraft hero for quite some time. 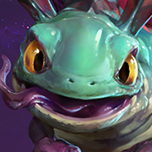 We already got 3 of them during a year of "slowing down hero releases". Warcraft spam goes against the code of conduct. Better said than done, we all know the next hero is gonna be San'ooich that one orc that swore revenge on the alliance after a Paladin stole his morning Sandwich that he prepared for breakfast, now he comes to the nexus as a vigilante to those who's sandwiches been stolen by the alliance. He is gonna be an assassin that specializes on destroying structures, no, he is not a specialist, get it right. 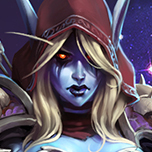 Still, it does seem very likely that she'll be announced at Blizzcon, but I do expect there to be another hero. 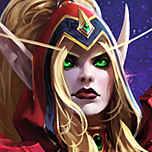 Until recently, I expected a second Warcraft map in this year (like I keep saying, 2015 had Eternal Conflict with 2 Diablo Maps, 2016 had Machines of War with 2 Starcraft maps, 2017 had Hanamura and later Volskaya, so I thought 2018 would get another Warcraft map in addition to Alterac). However, I just don't think there's "enough year" left after all. Unless they release the second Warcraft map at Blizzcon? 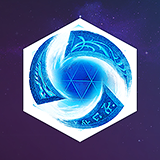 If so, I'm undecided on what to expect for the second Blizzcon hero (asuming Orphea): a Warcraft one, to complete the "event" together with the map; or an Overwatch one, 'cause (like many have said) there haven't been any since Hanzo. No more overwatch heroes ever, delete overwatch from existence. Please tell me u have a kit in mind? 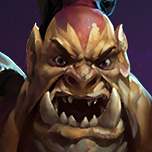 ...Better said than done, we all know the next hero is gonna be San'ooich that one orc that swore revenge on the alliance after a Paladin stole his morning Sandwich that he prepared for breakfast, now he comes to the nexus as a vigilante to those who's sandwiches been stolen by the alliance. He is gonna be an assassin that specializes on destroying structures, no, he is not a specialist, get it right. Unfortunately I do not but I said all of that with Kevin's voice in mind. An Overwatch hero is due. 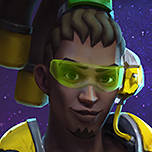 Back in summer we ASSUMED we were getting Sombra and I would love that to come true. 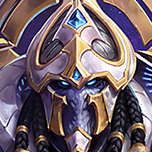 I would not mind seeing Reinhardt stepping into the Nexus, but I am okay with anyone that is not from the Warcraft universe. Unfortunately, Warcraft is an easy avenue to bring heroes in as it has a larger selection of individuals to pick from to bring into the Nexus. That is not to say Diablo and Starcraft don't have their share, but Warcraft simply has more than both combined. 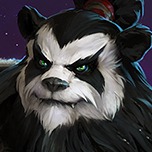 That all said, it would not surprise me if a Warcraft hero is announced. Disappointed? Yes. Surprised? Nope.